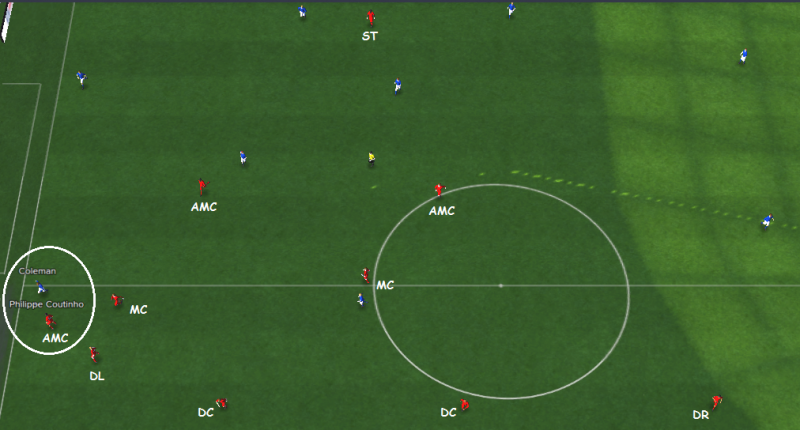 Welcome to a new episode of our Best FM 2015 Tactics series, this time we’re offering you a FM 2015 tactic that employs attacking mentality and an overall aggressive attitude on the pitch. You already know that I like my teams to play attacking football and that’s what I had in mind when creating this tactic. 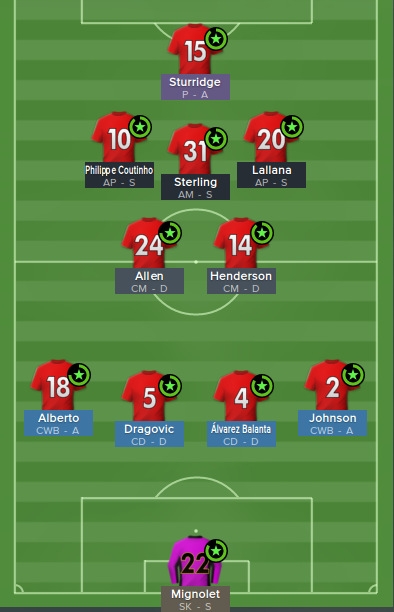 The idea came to me while I was looking at Liverpool’s squad, this formation and set up seemed to fit like a glove. This tactic was tested with patch 15.1.4. So, mentality is attacking, as promised, while for team shape I selected flexible. The formation is a narrow 4-2-3-1 with three central attacking midfielders supporting a lone striker. The two full backs will contribute a lot in attack as they have plenty of room to move forward while the two central midfielders will help the centre backs to cope with eventual counter attacks. Just six team instructions, I don’t like to complicate things too much. Basically we’re talking about a team that passes the ball short, rarely throws it froward randomly. The team will also play at a high tempo and harass the opponents all the time. As you can see the four players up front are all instructed to close down much more, which means they will constantly try to harass their opponents and intercept the ball in the opposition half. The lateral attacking midfielders will dribble more and move with the ball towards the flanks but that’s not all, they are the surprise elements because they will often move away from their positions. Basically this set up will keep the opposition defenders guessing, they’ll never know where the next attack will be coming from. 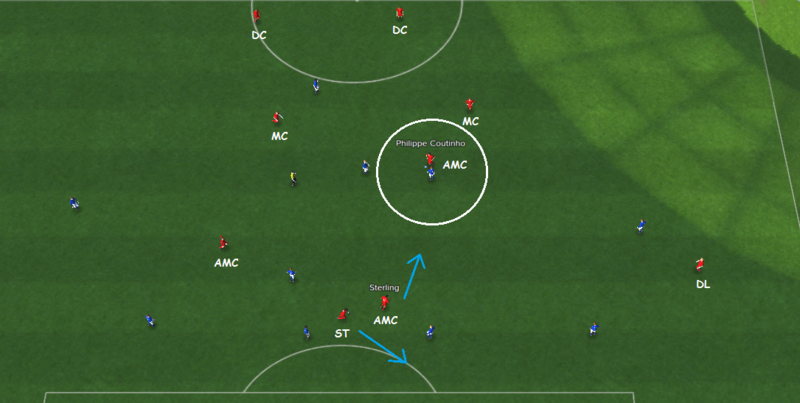 The two complete wing backs are also very important, but you’ll find out more about that later. The average positions screen shot above shows a fairly compact outfit, rich in numbers in the centre of the park. As you can see, the two full backs keep a pretty high position, constantly contributing in attack. … Sterling received the ball while Sturridge moved in the space that was left wide open by the central defender that followed Sterling. The attacking midfielder flicked the ball to the striker, Sturridge turned and fired a low shot into the back of the net. It’s also worth mentioning that Lallana, the right side AMC, also moved into the penalty area when Sterling passed the ball to Sturridge. The screen shot above shows another situation that occurred quite frequently, typical for our attacks on the wings. Coutinho is on the ball again, quite far away from his designed area as left side AMC, while the right back, Johnson in this case, has plenty of space to move into. The right back received the pass from Coutinho, bent a low cross at the near post and Sturridge bagged it. The screen shot above shows the team attitude when not in possession. In this case Coleman had the ball on their right flank and no less than three of our players were ready to take the ball away from him. 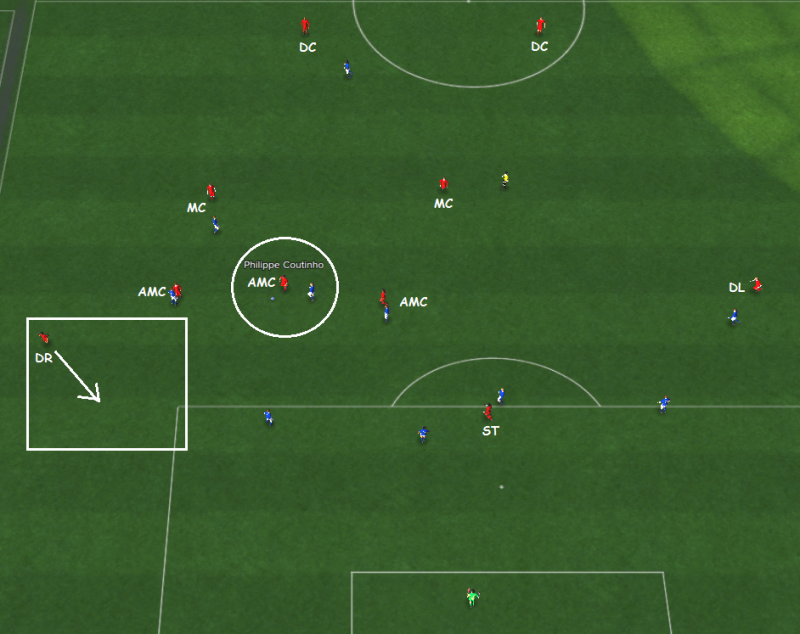 The whole team is active when pressing and defending, even the striker sometimes. We often managed to win the ball back in the opposition half, especially through the two CMs, with a special mention for Jordan Henderson who was really on fire when it came to stealing the ball. Also the two CMs manage to cover for the advancing full backs most of the time, we were caught on a few counter attacks but not very often. We suffered three defeats by the end of 2014, two of them in the league and a shocking one to Slovan Bratislava in the Champions League. However, we finished the group as winners with Real Madrid and Juventus behind us. As for the league defeats, the first one at Man United came while I was still tweaking the tactic while the second one, at QPR, was one of those highly frustrating results (no shots on target for QPR, utterly dominated, but rescued by a Skrtel own goal). Another setback was the penalty shoot-out defeat to Hull in the Capital One Cup. I also have to mention that patch 15.1.4 was installed just before the reverse fixture against Slovan Bratislava, which we won 5-0 after installing the hotfix. The second half of the season went quite nicely, except the second leg of the Champions League quarter finals where we were totally outplayed by Barcelona in the second half after leading 1-0 at the break. 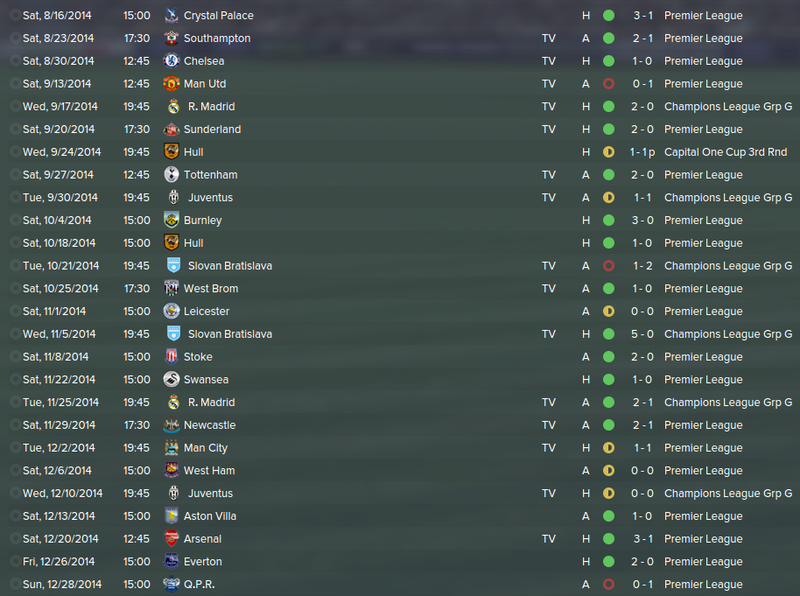 There were a few setbacks in the league, most notably the defeat at Sunderland, but I can describe them as accidental because we thoroughly dominated all matches. 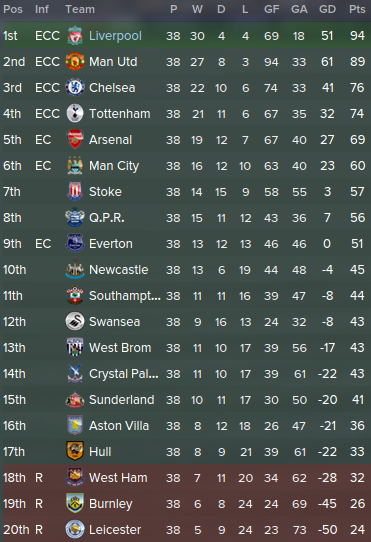 We did the Premier League – FA Cup double, even though Manchester United had a solid season. Our defence was outstanding and I have to say I wasn’t expecting that at the start of the season as I was concerned by the gaps we would leave behind while attacking. The player stats for the season below show how much each of the players can contribute to success with this tactic. You can notice that the strikers scored a good number of goals, also Coutinho had a good tally as AMC while the full backs also got on the score sheet quite often and provided assists as well. I have made three signings during the season: Dragovic was bought during the summer by the Director of Football while I was focusing on tweaking the tactic in friendlies, while in January I decided to sell Lovren, Lucas Leiva and Borini and bought Balanta and Jonny Williams. If you plan to start a new save with Liverpool I’d say you should get rid of Borini right away and retrain Lambert as an AMC, you won’t need to buy anybody unless you really want to. 3) In the tactics screen, click the tactic you currently have loaded (situated next to the strategy setting) then select manage tactics from the drop-down. 4) Select ‘4-2-3-1 Reds_v2.3′ and click load. 5) Now click the drop-down arrow next to the old tactic name and select my tactic from the top (you may need to click continue before it appears). Before wrapping up I should also mention that I left everything else in the hands of the assistant manager (training, team talks), I only changed the mentality to “counter” when defending narrow leads in the last 10-15 minutes of certain games. I also never used the touchline team talks because I wanted to see how the tactic works without the help/influence that those team talks can generate. I hope you will enjoy success with it! Oh, and before you ask: I don’t know whether it would work for lower league clubs, it should if you have good full backs and some creative attacking midfielders. You should also check out the other entries in our Best FM 2015 Tactics series and see which would be the best fit for your team. 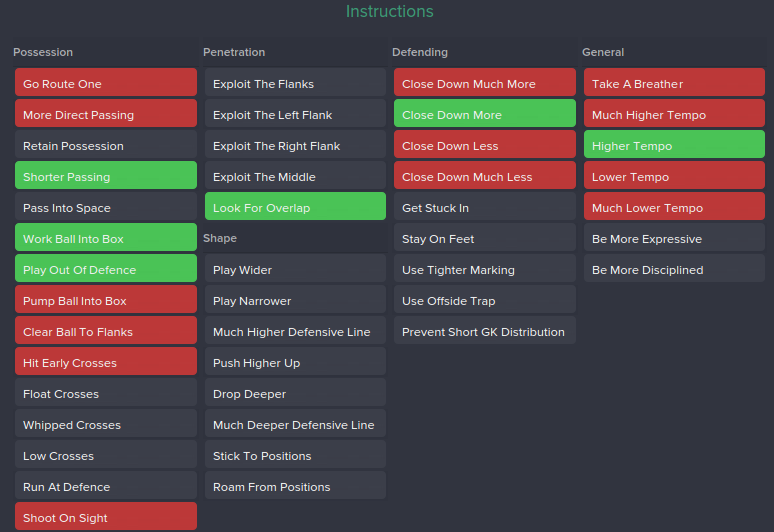 Look forward to trying this tactic when I eventually start my Liverpool save, with a couple of tweaks in terms of personnel. Thanks. 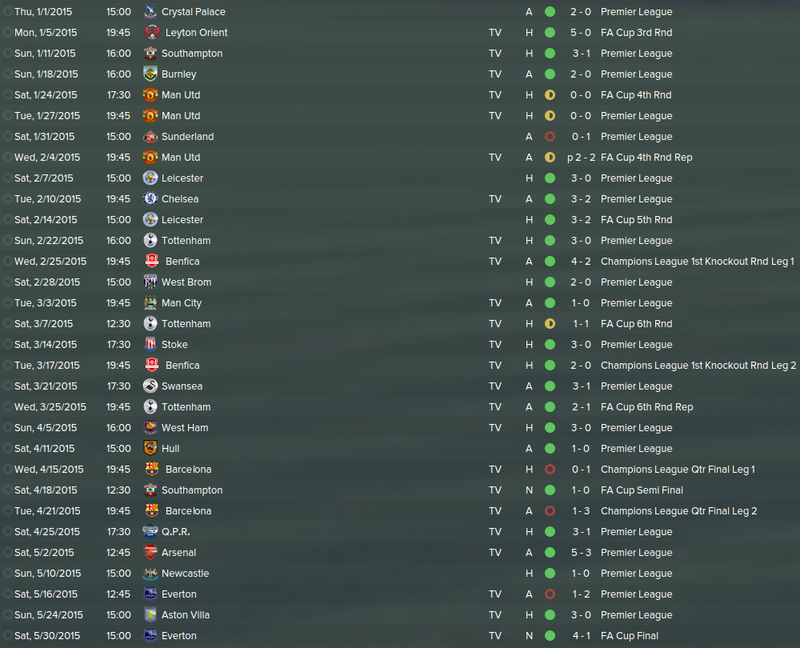 Started this with Newcastle. Lost first game though despite many chance. Got a few injury and fitness problems too. Thanks. You are right about Coutinho, he seems to fit very well into this set up. Sturridge is a goal machine too. Already has 20 league goals for me and it’s only mid November!!! this work in new update? I have tested it in a few games with Liverpool and it seems to work as nicely as it did before the patch, even seems a bit tighter at the back. so i started with a 0-0 draw at the ettihad (i was lucky there) and a bore 0-0 draw at home to stoke. ive copied everything down as you said. What´s the Problem?´have i missed something..